Cover of Mardi Link's new book promises revelations personal and intriguing. 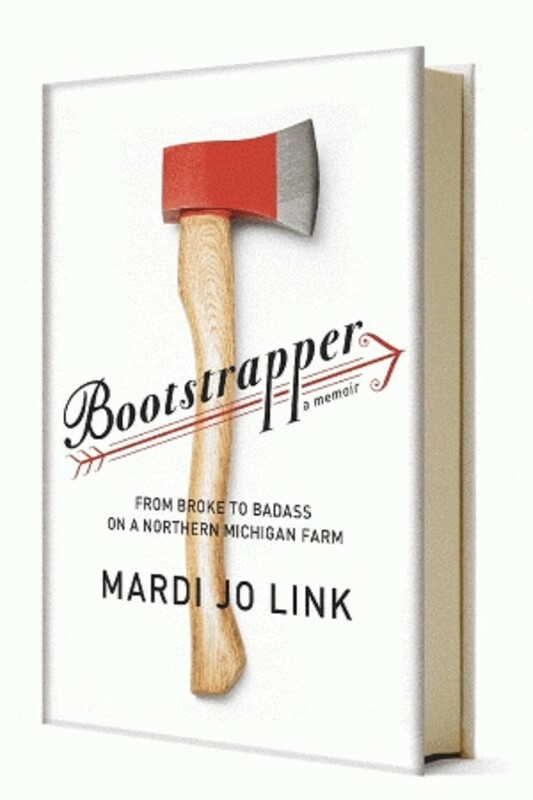 Former Bay Cityan Mardi Jo Link's memoir, Bootstrapper, is out under the Knopf imprint and rave reviews are gushing. 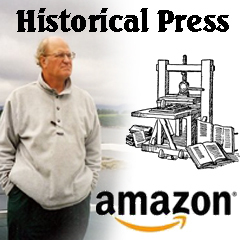 The book launch party Saturday, June 15, 7 p.m. at Brilliant Books in Traverse City, is sure to attract the Michigan glitterati plus some national figures as well. "With my garden finally all planted, and my brand new memoir, Bootstrapper, being published today, June 11th, I can't help but see how important both growing and writing have become in my life. I'm so happy to be able to share both of them with you." "Link's story possesses that rare, elusive, but much sought-after feeling of authenticity that is, at root, what the current craze for domesticity is about." What is the mystique about Ms. Link's story that has captivated the bookish mandarins of New York? The subtitle "Broke to Badass on a Northern Michigan Farm" is the bait that dangles for the reader to grasp, like a trout rising to a fly on Hemingway's mythical Big Two Hearted River. How this mom of three survived on a farm in the wilds is a theme seldom, if ever, addressed in the literature of relationships and bucolic solitude. The flavor of Thoreau living alone on Walden Pond, only with more complications than a nineteenth century hermit could ever imagine, seems to seep out from the title of Ms. Link's book. What to expect from a former New England police reporter who dashed out two regional best-sellers about sensational Michigan crimes, "Isadore's Secret" and "When Murder Came to Good Hart," published by the University of Michigan Press? "Poignant, irreverent, and hilarious: a memoir about survival and self-discovery, by an indomitable woman who never loses sight of what matters most. "It's the summer of 2005, and Mardi Jo Link's dream of living the simple life has unraveled into debt, heartbreak, and perpetually ragged cuticles. She and her husband of nineteen years have just called it quits, leaving her with serious cash-flow problems and a looming divorce. "More broke than ever, Link makes a seemingly impossible resolution: to hang on to her century-old farmhouse in northern Michigan and continue to raise her three boys on well water and wood chopping and dirt. Armed with an unfailing sense of humor and three resolute accomplices, Link confronts blizzards and foxes, learns about Zen divorce and the best way to butcher a hog, dominates a zucchini-growing contest and wins a year's supply of local bread, masters the art of bargain cooking, wrangles rampaging poultry, and withstands any blow to her pride in order to preserve the life she wants. "With an infectious optimism that would put Rebecca of Sunnybrook Farm to shame and a deep appreciation of the natural world, Link tells the story of how, over the course of one long year, she holds on to her sons, saves the farm from foreclosure, and finds her way back to a life of richness and meaning on the land she loves." OK, now it's your turn to see what Bootstrapper is all about. Sounds fascinating, doesn't it?